Free Gingerbread Man Story for Kindergarten. 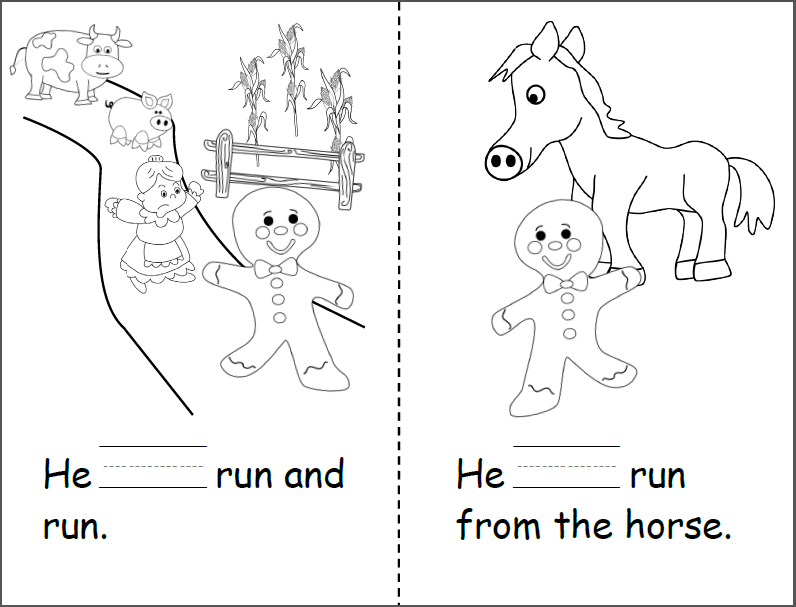 Students practice writing the word “can” to complete each page of the story. 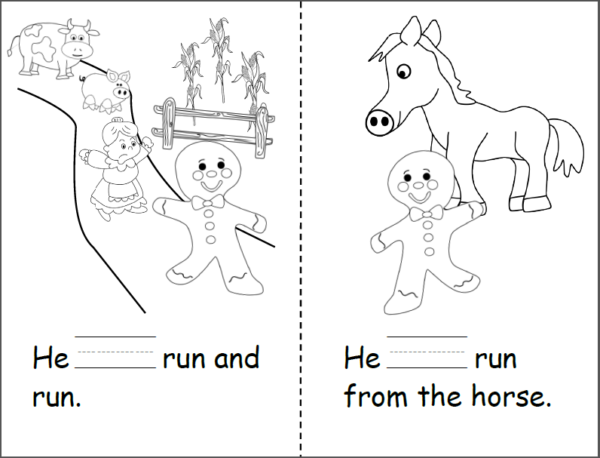 Next, they can read the story with instructional help and color the pictures. 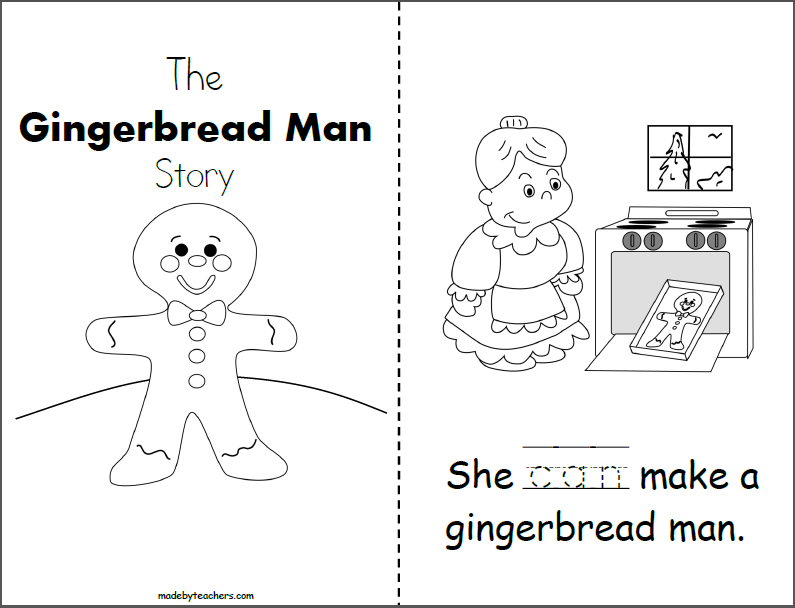 Once they have learned the words in this mini book, they can read their story independently. 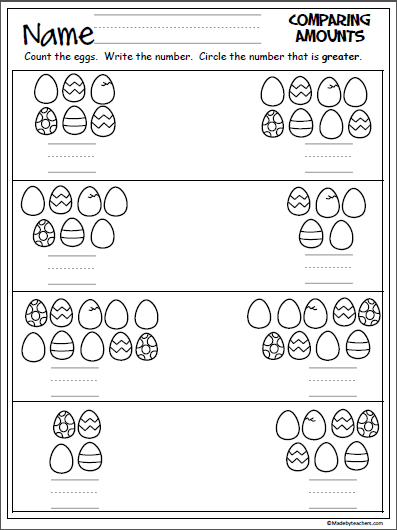 Comparing Amounts - Easter Eggs Directions Students count the eggs. Students write the numbers. Circle the number that is greater. 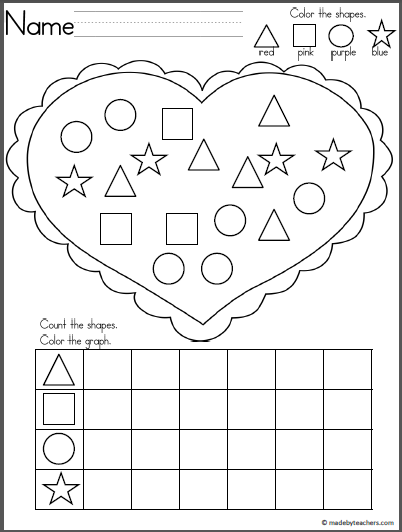 Color, count, and graph the shapes. Great Valentine's Day activity. 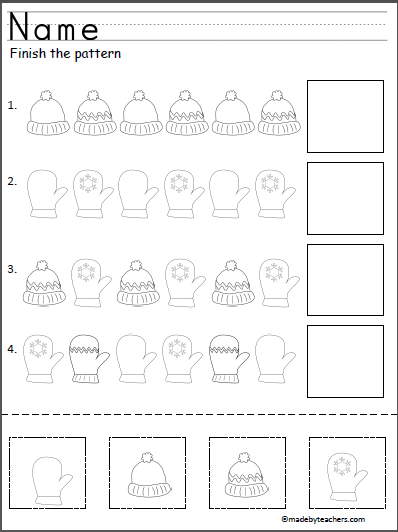 Winter Pattern Practice Worksheet Cut and paste the pictures to complete the winter patterns.